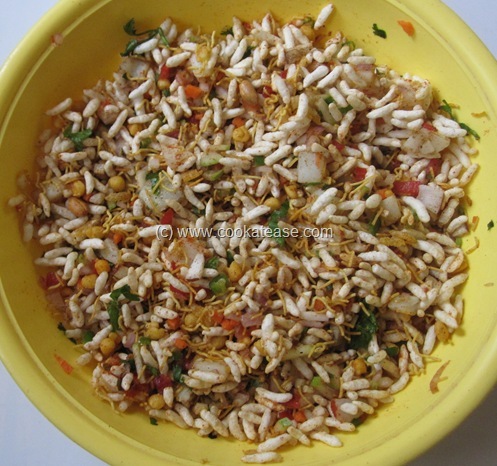 Jhaal muri is a simple Bengali snack available as street food. It is a mix of many colourful ingredients and can be prepared in a few minutes if all ingredients are kept ready. 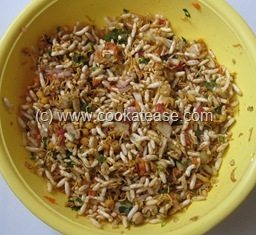 Puffed rice is mixed with boiled potato, salad vegetables, dry spices and mustard oil (for binding). Jhaal muri is a healthy snack because other than potato all other ingredients are used in raw state. 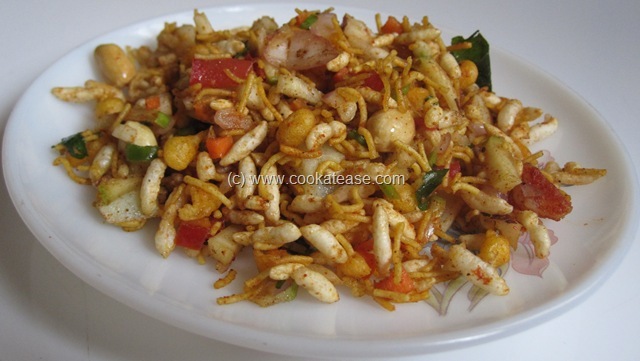 This low calorie spicy puffed rice can be served as a snack and can be digested easily. 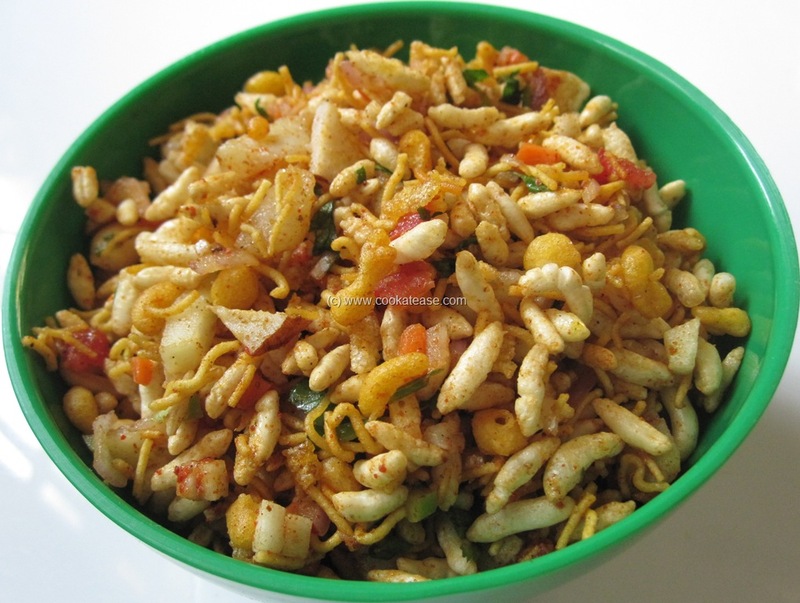 Basically jhaal muri is a hot and spicy snack, but the quantity of red chilli powder and green chilli can be adjusted to suit everyone including children. 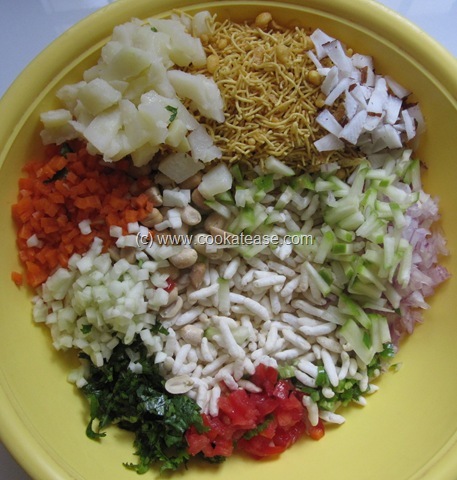 I have used raw mango and other easily available vegetables like carrot, cucumber. 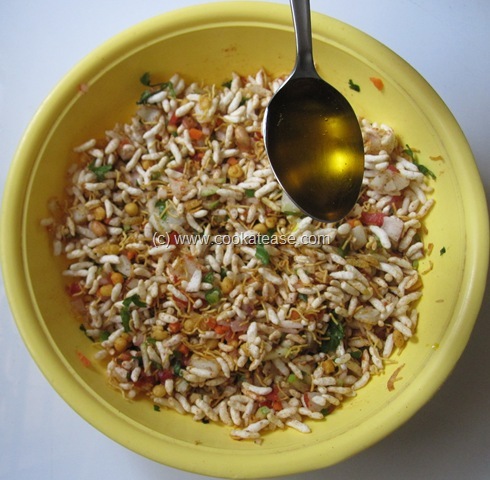 It is not necessary to have all the ingredients to prepare this jhaal muri (basic ingredients are only: puffed rice, green chilli, onion, sev/namkeen, oil). 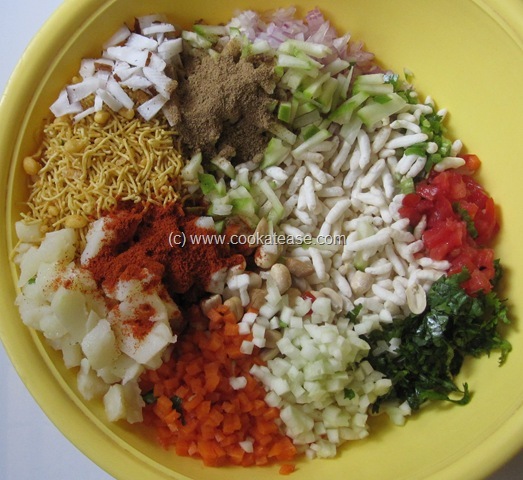 Take all ingredients in a bowl and add red chilli powder, chat masala except mustard oil. Mix and toss well without spilling. Add mustard oil at last and mix well. 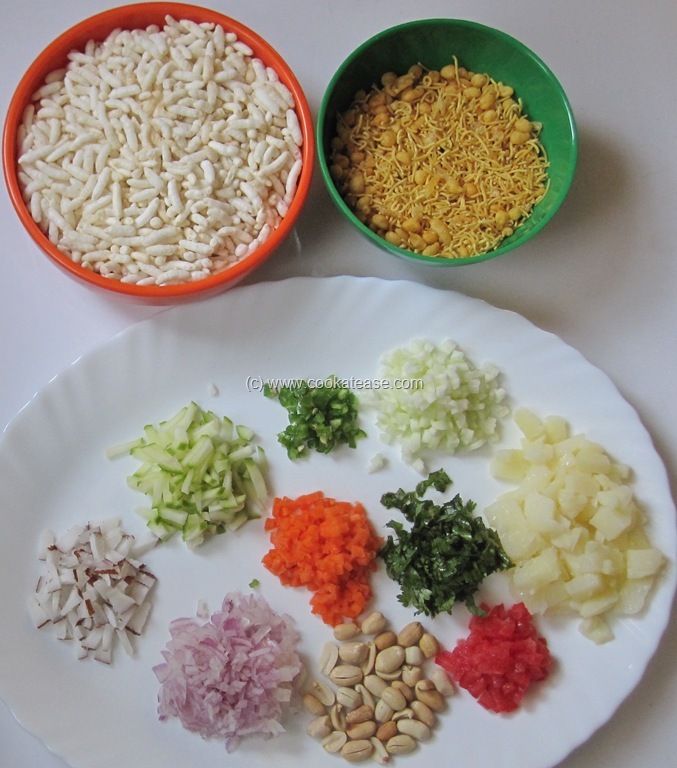 Serving: keep all ingredients chopped and ready; just before serving mix all ingredients. Use thick skinned tomato as it has less juice. If raw mango is not available, use few drops of lime juice. If you have sprouted/roasted moong dal, kaala chana etc., you can add them also. Muri mixture,looks so tempting ,a pretty much easeist eve snack..